There is something so special about December births. December babies get to celebrate their birthday in the best holiday season of the year! – Seriously, they do! And, for this darling family last Christmas was extra special when they were given the sweetest christmas gift of a new baby bundle to love. I always love meeting the big brothers and sisters when I get to photograph their new baby sibling for the newborn session. Santiago’s big brother could not have been any prouder then he was the day he got to show is new baby brother off to me. The smile he had and the sweet sibling hugs he gave to his new baby brother said it all, and it was just too adorable. Mom and Dad were so in love with the arrival of their new baby boy and big brother Agustin was no exception. 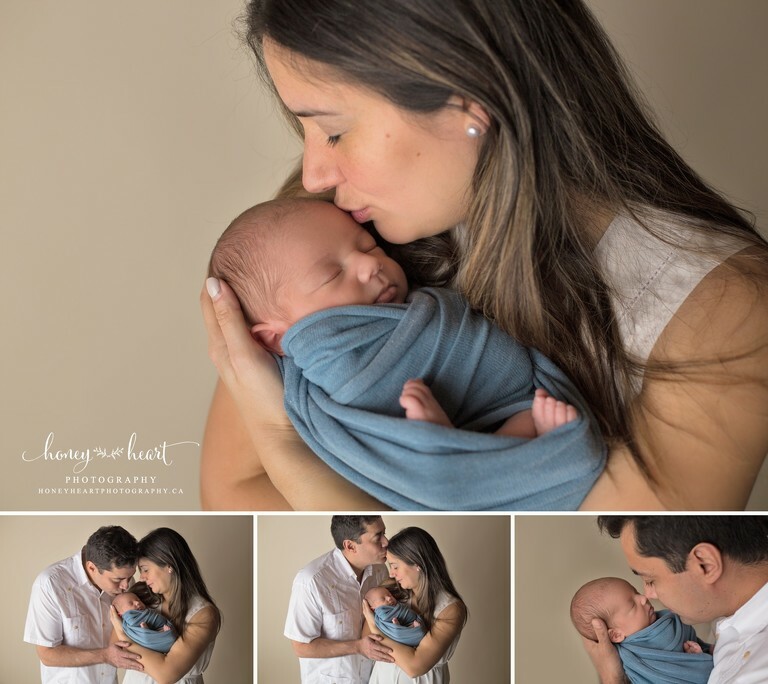 Baby Santiago was so good for his newborn session and we captured some truly adorable photos of him. 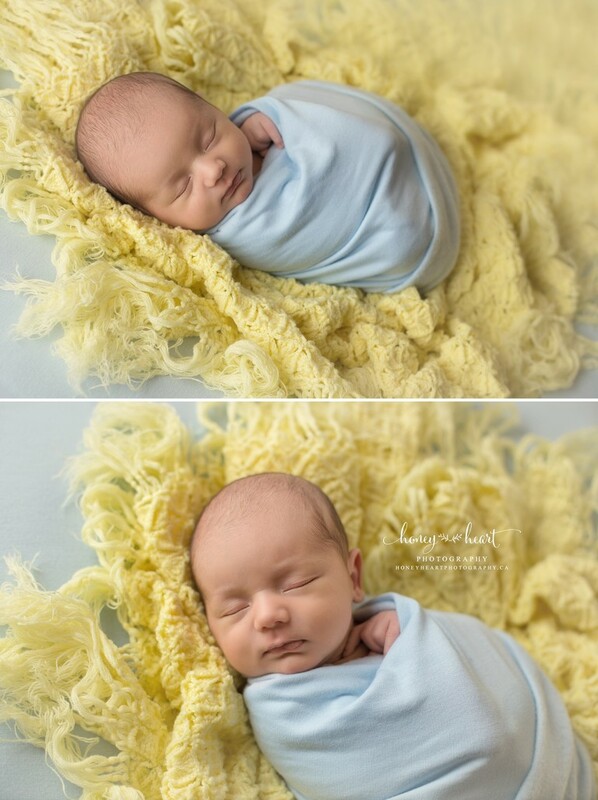 He slept like an absolute dream, and with the special heirloom baby blanket that mom and dad brought in for his session, it’s no wonder why he slept so peaceful. 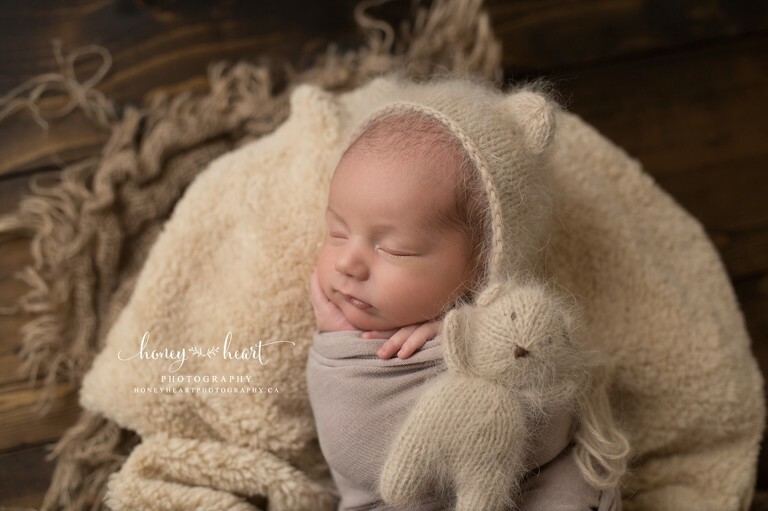 I have an absolute love for soft textures and timeless newborn props, because they always keep the focus on your sweet new baby, and I adore when parents bring in timeless and very sentimental items that they would love photographed with their baby. The baby blanket they brought in was Dad’s from when he was a baby – how sweet and special is that?! Ashley of Honey Heart Photography is a Calgary Newborn Baby Photographer with a home studio located in the southwest of Calgary Alberta, with portrait service to the neighboring communities of Okotoks, High River, Priddis, Redwood Meadows, Airdrie, Cochrane, Strathmore, Langdon and locations near the city. 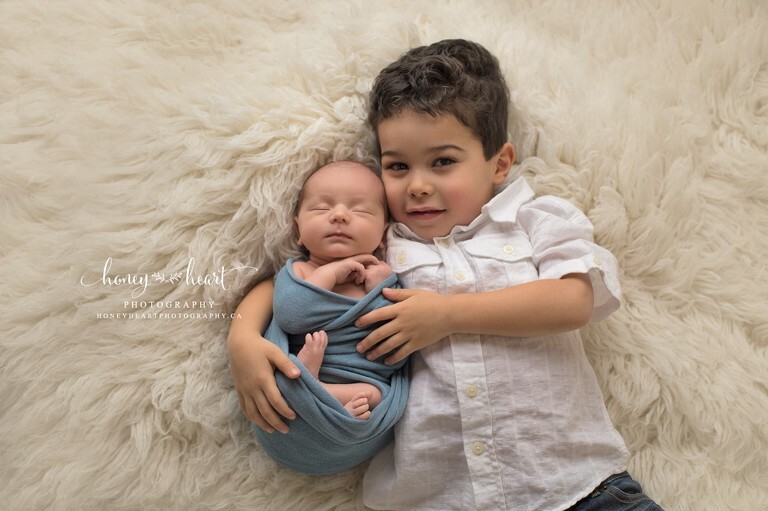 Ashley specializes in posed newborn photography and provides all newborn and infant photography props. She also specializes in boutique baby milestone photography, outdoor and studio maternity photography, and family photography. Please contact Ashley to inquire and to reserve your photography booking. Are we Insta friends yet? Follow me on Instagram! And Facebook!